Rapido has posted a video showing a preproduction sample of the Royal Hudson hauling nine passenger cars up a 3% helix on the Club de Train WIMRC Railroad Club in Dorval, Quebec. The video can be seen HERE. The Royal Hudson With the Provincial Crests! 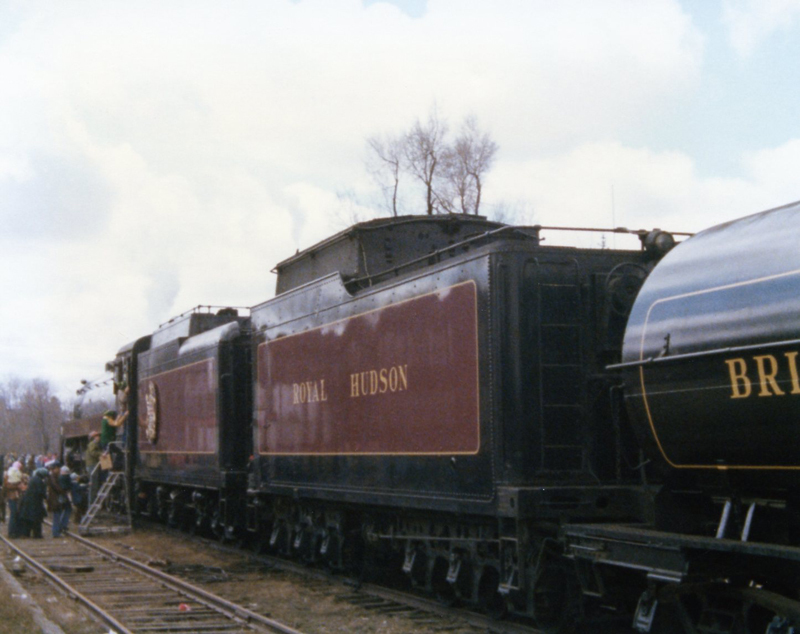 The Royal Hudsons are a group of semi-streamlined 4-6-4 Hudson steam locomotives owned by the Canadian Pacific Railway (CPR) and built by Montreal Locomotive Works (MLW). The engine was built in 1938. 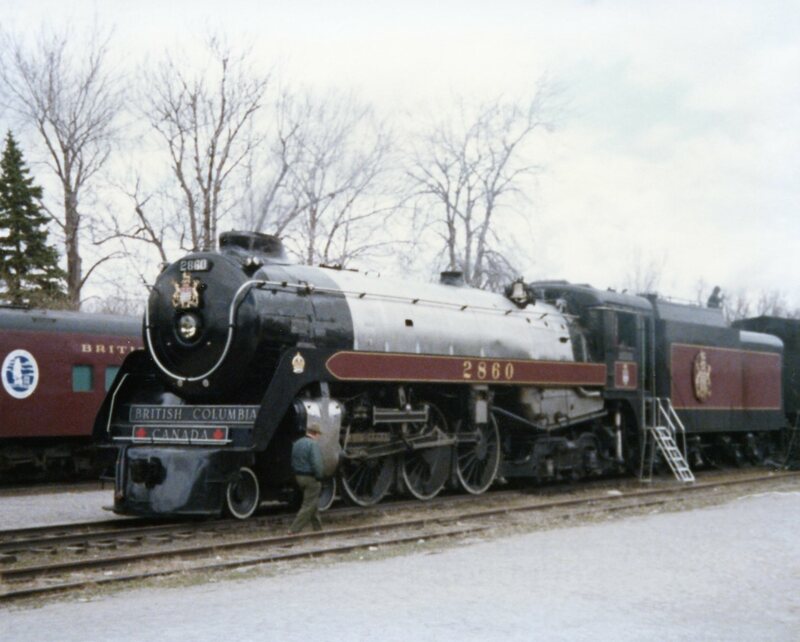 In 1939, King George VI allowed the CPR to use the term after Royal Hudson number 2850 transported the royal train across Canada with no need of replacement. 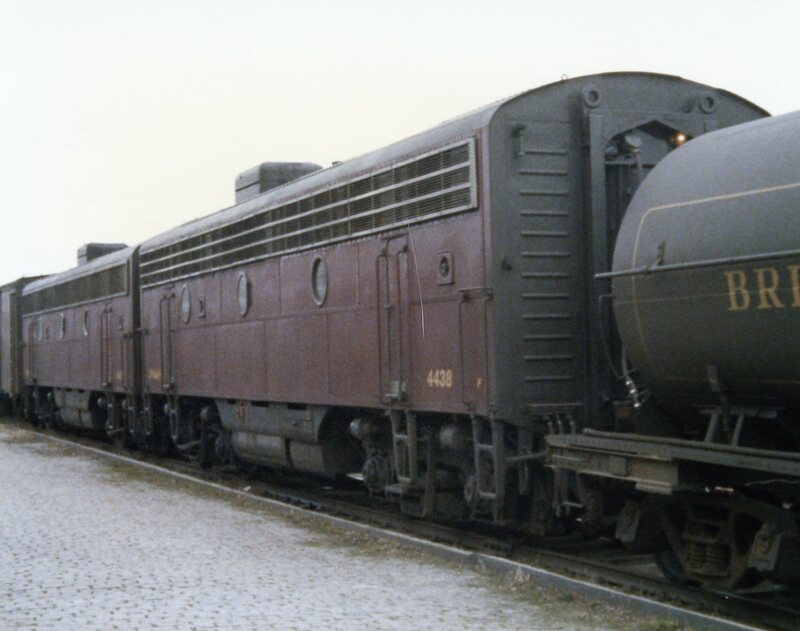 These locomotives were in service between 1937 and 1960. Four of them have been preserved. No. 2839 was used to power excursions for the Southern Railway Steam Program between 1979 and 1980, and no. 2860 was used for excursion service in British Columbia between 1974 and 1999, then again between 2006 and 2010. The CPR owned a total of 65 class H1 Hudsons built by MLW. Classes H1a and H1b, numbered 2800-2819, were not semi-streamlined and were not "Royal" Hudsons. The Canadian Pacific Railway owned 30 class H1c Royal Hudsons, numbered 2820-2849, built in 1937, 10 class H1d Royal Hudsons, numbered 2850-2859, built in 1938, and five class H1e Royal Hudsons, numbered 2860-2864, built in 1940. The class H1c and class H1d Royal Hudsons were primarily used in passenger service in the East and in the Central Provinces, but also saw some use in freight service as well. The class H1e (Nos. 2860 through 2864) Royal Hudsons were all built as oil-burners and were built for service between Vancouver and Revelstoke where they worked until they were displaced by diesels (and then reassigned) in the 1950s. By 1960, all of the 20 Hudsons and 45 Royal Hudsons had been retired due to having been completely replaced by diesel locomotives. One Royal Hudson, no. 2860, was later used in excursion service. A class H1e Royal Hudson, it was built for the CPR by MLW in June 1940. It was the first locomotive of five to be built new as Royal Hudson and delivered with painted cast brass crowns affixed to their skirts. Between 1940 and 1956 it hauled transcontinental passenger trains between Revelstoke and Vancouver. 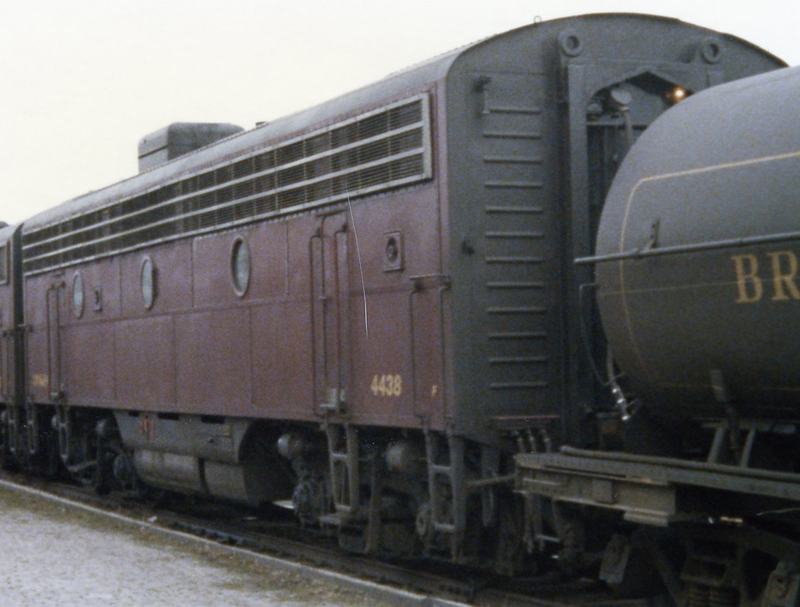 It was damaged in a derailment outside of Vancouver in 1956, but by 1957 it had been refurbished and was transferred to Winnipeg for prairie service. It was withdrawn from service in May 1959 and sat on the scrap line for five years. It was sold to the Vancouver Railway Museum Association in 1964. However, the association was unable to find a place to display the locomotive and it remained in storage at the Drake Street shops in Vancouver. 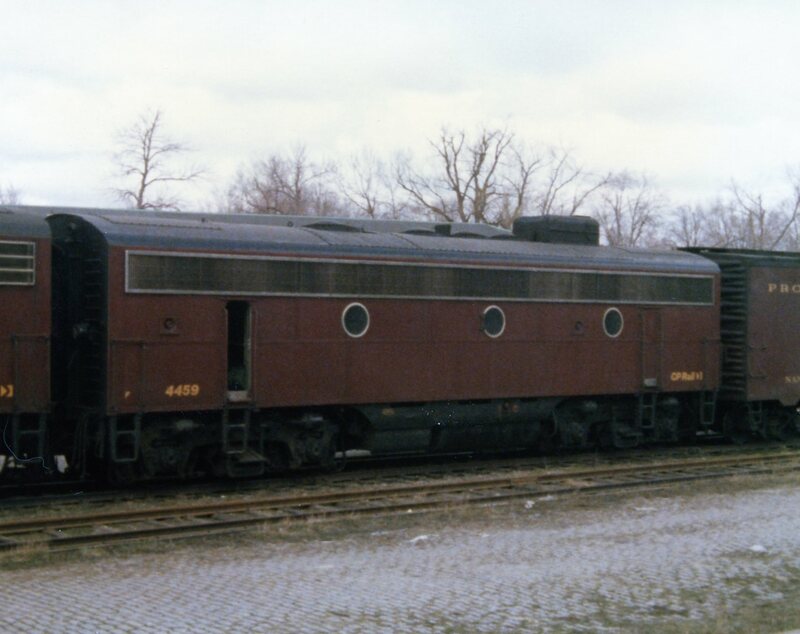 Once again the locomotive faced the risk of being scrapped, but she was sold to Joe W. Hussey in 1970. In 1973 Hussey sold 2860 to the British Columbia government. 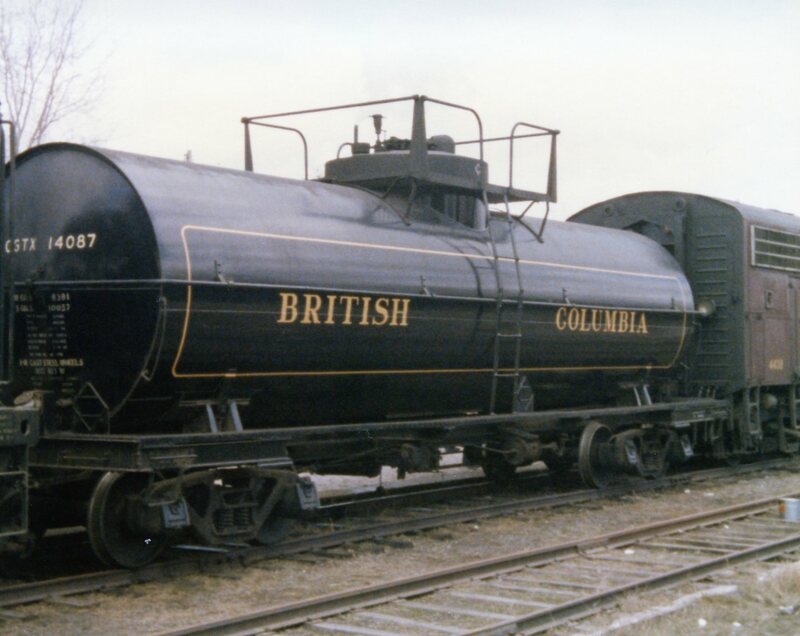 The locomotive was restored by Robert E. Swanson's Railway Appliance Research Ltd. team and the staff of the CPR Drake Street roundhouse shops beginning on 25 November 1973 and then operated by the British Columbia Department of Travel Industry with the cooperation of the British Columbia Railway. The BCR commenced a Royal Hudson excursion service between North Vancouver and Squamish on 20 June 1974. By the end of the 1974 tourist season, 47,295 passengers had been carried and the excursion was deemed successful. It was the only regularly scheduled steam excursion over mainline trackage in North America. The excursion operated between May and October, from Wednesday through Saturday. It also traveled North America in the late 1970s as a promotion for BC tourism. 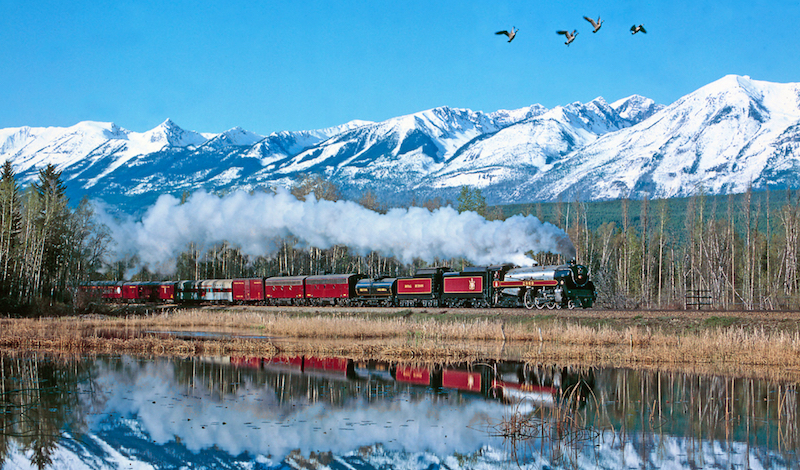 It quickly became one of British Columbia's main tourist attractions and an icon of Canadian steam power. While the engine was being prepared for Christmas trains at the end of the 1999 tourist season, 2860 was found to have serious leaks from the superheater elements. The superheaters and the arch tubes were known to be life expired and some other fairly major boiler work was required. A variety of factors prevented BC Rail from carrying out the repairs immediately, including the fact that CPR Hudson No. 2816 was in the BCR shop being rebuilt under contract, and that all BC Rail passenger services were under threat in the lead up to the eventual privatization of BC Rail. After the election of the BC Liberal Government in 2001 all passenger services were gradually phased out starting with the Royal Hudson excursion. 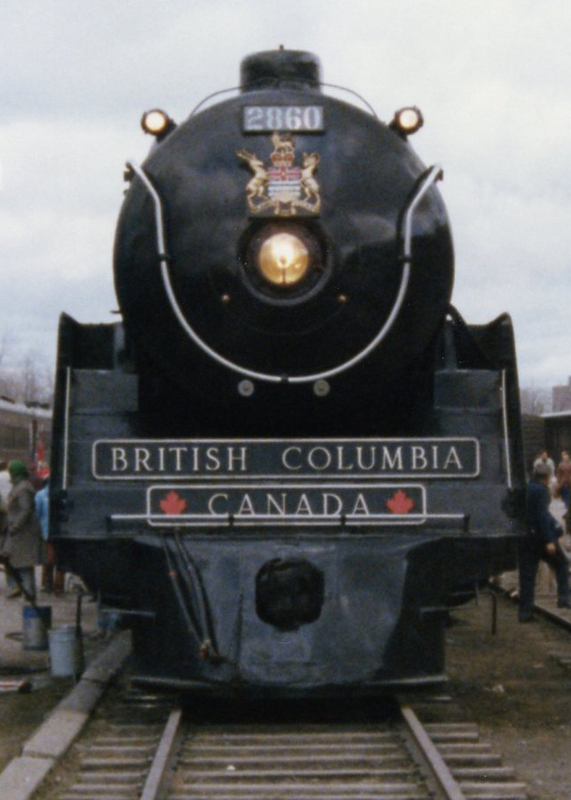 The Royal Hudson excursion used other locomotives during the 2000 and 2001 seasons such as back up locomotive 3716 (an ex-Canadian Pacific 2-8-0 which is also Provincially owned and currently operates on the Kettle Valley Steam Railway in Summerland). 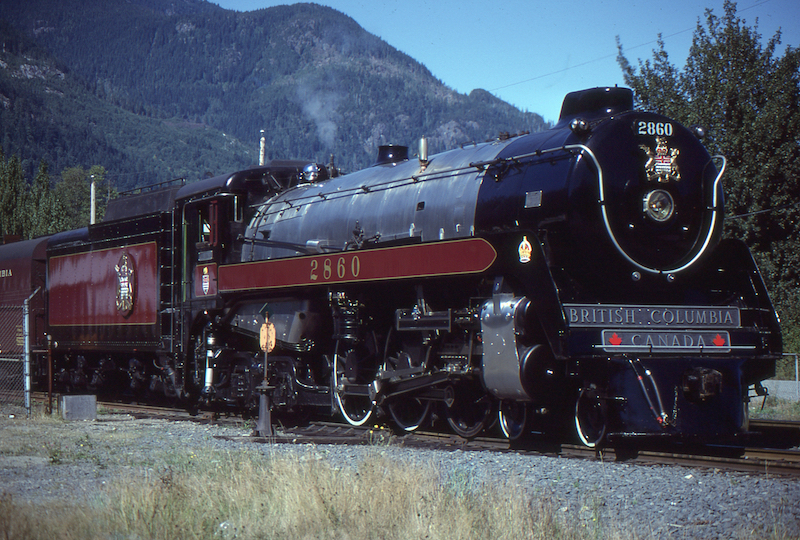 Currently, the 2860 is still owned by the British Columbia government, but is on permanent loan to the West Coast Railway Association (WCRA) and is housed at the West Coast Railway Heritage Park in Squamish, but has been seen on the CNR line from Squamish to North Vancouver since late April 2009. On 28 September 2006, the Royal Hudson steamed into the WCRA Squamish station under her own power for the first time since October 1999. The restoration took just over one year with a cost of over $250,000. Money for the restoration was provided wholly by donations. The WCRA also had difficulty locating missing parts. Some of the major components, such as the trailing truck, were borrowed from sister engine 2850. The borrowed parts had to be returned when 2850 was put on public display. WCRA replaced the borrowed tailing truck with one that was being used at a mine, which had salvaged the truck from a Royal Hudson due for scrap. The truck turned out to have been taken off of 2860 when she was sitting on the scrap line in the 1960s. The association plans to operate 2860 on excursion runs and at special events. Due to the strict "no steam" policy that CP and CN have, the excursions are restricted to special occasions only. 2860 is steamed up regularly for publicity and to salute passing passenger trains. On 9 December 2010, the ex-CP 2860 and the Royal Hudson trainset were scheduled to depart North Vancouver for Squamish at 12:30 pm on the last of its scheduled excursion trips in 2010. The ex-CP 2860's certification expired in January 2011 and the cost of the necessary work is estimated at over $1 million CAD. The December 9 trip is likely to be her last for a long time. Many of you have ordered the Royal Hudson. Perhaps you have the British Columbia Railway 25th Anniversary passenger cars that Rapido produced for PWRS 10 years ago. There is a missing part to the train that toured Canada, the B units that served to provide generator power, braking power, hot water (steam) and other functions of diesel locomotives. Since the official launch of the FP7 and 9 B Units last week, we have been called by many customers asking us to consider doing these important B Units. If you model the Royal Hudson 2860 it's a must. We will build 50 pairs of the B units. If you already have the 2860 ordered this would be a great addition to any collection. And stay tuned and we will let you know if we can get the tank car as well. Don't Miss Out On This Never-Produced But Essential Part Of The Royal Hudson on Tour!